Rupinder is interested in studying issues of co-ordination and control in channels of distribution and sales forces; issues related to measurement of constructs; and ways to enhance the value proposition of products and services. 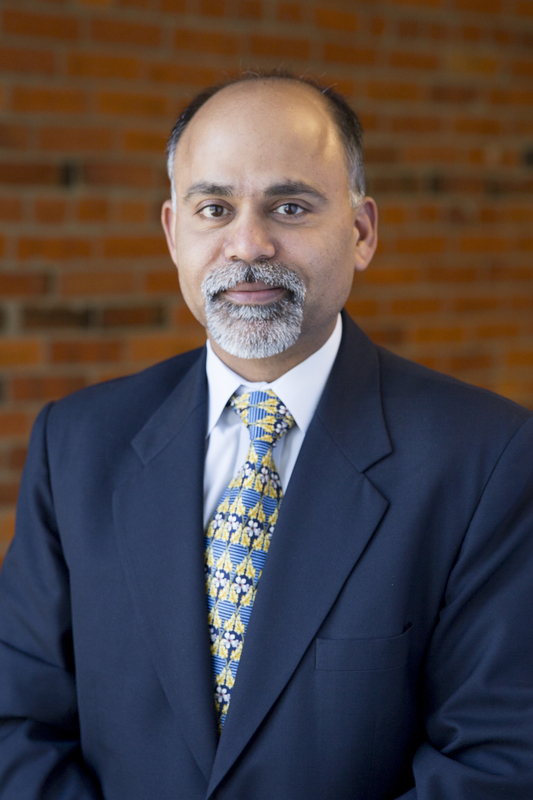 Before joining UW Tacoma, he was an assistant professor at the Bauer College of Business, University of Houston, TX. He has published his research in several journals including the Journal of Marketing Research, Journal of Marketing, Journal of the Academy of Marketing Science, Journal of Retailing, International Journal of Research in Marketing, and Decision Support Systems. He is a member of the editorial review boards at the Journal of Business Research and the Journal of Personal Selling & Sales Management. Before pursuing an academic career, he worked in Pharmaceutical marketing for three years and an internet B2B startup for over a year. Ptok, Annette, Rupinder P. Jindal, and Werner Reinartz (2018), “Selling, General, and Administrative expense (SGA)-Based Metrics in Marketing: Conceptual and Measurement Challenges,” Journal of the Academy of Marketing Science, 46 (November), 987−1013. Jindal, Rupinder P., Dinesh Gauri, Gaganjot Singh, and Sean Nicholson (2018), “Factors Influencing Readmission Penalties: Are They Really Under Hospitals’ Control?” Decision Support Systems, 110 (June), 58−70. Zimbra, David, Kumar R. Sarangee, and Rupinder P. Jindal* (2017), “Movie Aspects, Tweet Metrics, and Movie Revenues: The Influence of iOS vs. Android,” Decision Support Systems, 102 (October), 98−109. *All authors contributed equally. Jindal, Rupinder P., Kumar R. Sarangee, Raj Echambadi, and Sangwon Lee (2016), “Designed to Succeed: Dimensions of Product Design and Their Impact on Market Share,” Journal of Marketing, 80 (July), 72−89. Echambadi, Raj, Rupinder P. Jindal, and Edward A. Blair (2013), “Evaluating and Managing Brand Repurchase across Multiple Geographic Retail Markets,” Journal of Retailing, 89 (December), 409−22. Jindal, Rupinder P. (2011), “Reducing the Size of Internal Hierarchy: The Case of Multi-Unit Franchising,” Journal of Retailing, 87 (December), 549−62. Jindal, Rupinder P., Werner Reinartz, Manfred Krafft, and Wayne D. Hoyer (2007), “Determinants of the Variety of Routes to Market,” International Journal of Research in Marketing, 24 (March), 17−29. Milgard School of Business teaching commendation for TMKTG 445 (Services Marketing), TMKTG 460 (Research Methods), and TMKTG 475 (Marketing Strategy), 2015.